Welcome to Read More Mysteries…the Spoiler Space! Have you ever finished reading a mystery and just wanted to say, “I can’t believe ________ did that”? If so, this is the space for you! 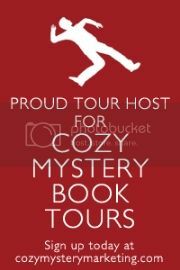 This blog is a supplement to the original Read More Mysteries. Enter this space only if you’ve finished reading the book or books being discussed in a particular post. The Spoiler Space is NOT the place where I talk about what I really think about the book–that’s what my review is for. It’s a space where we (as I hope this space will be a conversation) can talk about the details and not worry about spoilers. For this reason, I will not be posting about new releases. I’ll be posting about books that have been out a while. I also hope this will serve as a resource if you want to refresh your memory about a particular series before reading the latest book. I’m going to try and “spoiler” the text as much as possible in case you click on this by accident. I’ll be posting links on this site directing you to the latest Spoiler Space post, and will also be listing them below by book title. Happy reading and hope to hear from you! Feel free to contact me via the form below or at readmoremysteries(at)gmail(dot)com if you have any comments or questions!